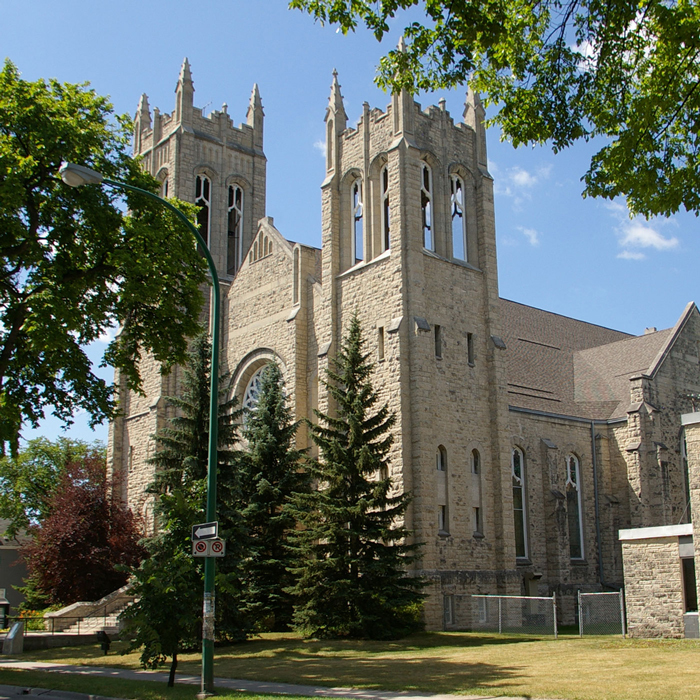 This week in the Winnipeg Presbytery prayer cycle we remember the congregation and staff of Grey Street United Church. Please keep Bob Burton in your prayers as he recovers from some time in the hospital. Sine Nomine is the name of the tune we sing to “For all the Saints,” “Go to the World,” and others. It’s a latin term for “With no name.” Ralph Vaughan Williams wrote this well known tune in 1906, and so many years later it still stands as one of our most recognizable in the Anglican, and Protestant church. A neat feature is the bass line- the lowest notes walking along the bottom of the tune. It never stops! It evokes a sense of marching- marching behind the saints that lived their lives before us. If you have a good view, be sure to check out Don Menzies’ feet as they pedal along! Our condolences to Loretta Basiuk and family on the death of her mother, Lena Basiuk. The funeral will take place next week. Condolences also to Cheryl Drachuk and her family on the death of her sister, Elaine. 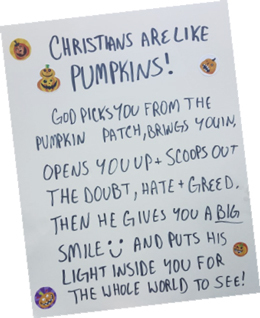 This week in the Winnipeg Presbytery prayer cycle we remember the congregation and staff of Spirit Path Church. Mission, Vision and Values Conversation Today! Come join us for an open, friendly conversation about who Westminster is as we work towards a promising future….11:45 – 12:45 in the chapel; led by Carol Latter (board chair) and Rev. Sherri. If you can’t join us today, the next one is November 4. If you aren’t able to attend either session, please send us your responses and thoughts to info@westminsterchurch.org. “One little word shall fell him.” That’s the line that ends the third verse of today’s opening hymn. Which word can fell the Prince of Darkness? “Jesus” is a good fit, as is the word “Love”, or maybe even the word “Bible.” But, according to Martin Luther, the composer of both the text and the tune, that one little word is “Liar.” The truth of the gospel was so compelling in his mind that it was the only answer to the greatest darkness in the world. This week in the Winnipeg Presbytery prayer cycle we remember the congregation and staff of Prairie Spirit United Church. The Centre for Christian Studies is a national theological school based in Winnipeg (just up the street at 60 Maryland St). CCS has connections to the United Church of Canada and the Anglican Church of Canada, and provides theological education for those becoming diaconal ministers in the United Church of Canada, and educational opportunities for anyone interested in exploring leadership and faith/spirituality. CCS describes itself as a school, a community and a movement that seeks to educate leaders for justice, compassion and transformation. Michelle joined the Centre for Christian Studies as principal in August 2017. 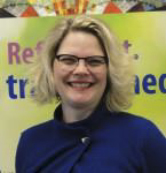 She is a graduate of the Centre and a diaconal minister in the United Church of Canada. Michelle came to Winnipeg from Ontario, where she served as London Conference’s Personnel Minister. Prior to that, she had served in a three point rural charge in Perth County, Ontario, and had been a candidate for ministry from Trinity St. Paul’s United Church in Toronto. This week in the Winnipeg Presbytery prayer cycle we remember the clients and staff of West Broadway Community Ministry and the Winnipeg Presbytery staff.